Atlas has been busy plundering the charts as we come into our first Steam Weekly Chart of 2019. 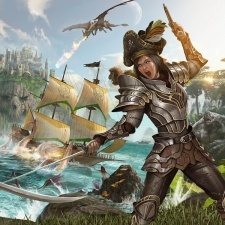 The plundering online game from the creator of Ark: Survival Evolved has faced a rough start, with bugs and server issues plaguing the game’s launch. But that didn’t stop Atlas taking No.2 on release two weeks ago, only slipping this week down to No.4. Steam’s Winter Sale ended on January 3rd and has, as usual, brought big names with big discounts back to the Top Ten. Our top performer is missing this week, but Monster Hunter: World secures second place thanks to a 34 per cent slash to its price. The Survivor Pass for PUBG’s newest map, Vikendi, claims a frosty spot at No.5 this week after topping the charts last time around. Kingdom Come: Deliverance follows in sixth, while Assassin’s Creed: Odyssey lands at No.7 thanks to a 50 per cent Steam Sale discount. Insurgency: Sandstorm loses ground to approaching forces, falling back two spots to No.8 this week. Divinity: Original Sin 2 slips one spot to ninth place, while Rainbow Six Siege’s Year 4 pass closes out Steam’s charts this week. Below is the Steam Top Ten for the week ending January 5th.